Night vision vs Thermal – What is the difference? If you ever tried hunting at night, you probably experienced the challenges that come with it. Unlike many animals, our eyes are not adopted for extremely low light conditions so the darkness works against us. Many animals prefer feeding at night because they are able to use nighttime to hide from predators (including us - humans). So what can you do to prepare for a successful hunt? You probably have heard of night vision and seen it in the movies (those green images) where it is used for military purposes. The same technology has been adopted by hunters and now is a must have tool if you ever plan on hunting at night. Night vision is the ability to see in low or no light conditions. There are two different technologies that are currently used to enable night vision: thermal imaging and night vision. There are major differences between the two technologies as well as strength and weaknesses. Know the differences and types of environments/conditions where each is best suited will help you make the best choice. What is Better for Hunting? Q. Is there a difference between night vision devices and infrared? Q. How long does a night vision scope last? Q. Can I use a night vision scope during the day? Q. Is a night vision scope legal? Q. Can you see through fog/smoke with night vision? Night vision devices (also called NVDs) amplify visible light and some near-infrared light allowing you to see in dark environments. While night vision has been around since the time of World War 2 there have been several improvements as newer, cheaper, and better technology has lead to continued image improvement. Inside every NVD (GEN2, most popular currently on the market) there is an image-intensifier tube that collects and intensifies visible and infrared light. The process involves a photocathode (negatively charged electrode) that converts the photons of light energy into electrons. When electrons pass through the tube, they are enhanced using a microchannel plate with similar electrons that are released from atoms inside the tube. The end of the tube has a screen that is coated with phosphors. When electrons hit the screen, the phosphors release photons creating the green image we are familiar with. GEN3 has further improvements to this process providing sharper images, lower noise levels and longer life expectancy. GENERATION 1 is the least expensive, its usable range is about 75 yards and are typically limited to 1500 operational hours. Prices can be as low $120. Digital Night Vision is a newer development that has overtaken GEN1 and is getting close to GEN2 and GEN2+ quality. Digital night vision uses a CCD (much like a digital camera) to amplify the light instead of a photo-tube. This leads to many advantages such as being able to use it day or night with no fear of damaging the photo-tube, lower cost, the ability to record video and images easily and probably most important for hunting; animals cannot detect the IR iluminators that digital night vision uses and recoil from larger caliber guns won't damage a digital night vision scope. While digital night vision does have some drawbacks those mainly being increased power use and lower quality than GEN3 night vision the benefits outweigh the drawbacks. GENERATION 2 is big step up from GEN1 and provides a nice balance between cost and performance. The images are much brighter and a lot less distorted. Its usable range is about 200 yards and the device can last up to 5000 operational hours. Prices start at around $550. GENERATION 3 is where you can find some of the best night vision devices. 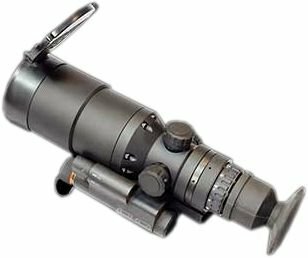 Used by military, they provide excellent image quality, outstanding low light performance, further reduction of blooming effect and effective range of around 300 yards. Life expectancy has been increased to over 10,000 hours. If you are looking for GEN 3 night vision binoculars or monoculars, be prepared to pay $2,500+. GENERATION 4 is the latest technology utilizing filmless tube. GEN4 devices provide excellent low light as well as bright light performance. There are quite a few GEN4 night vision products on the market with price point starting at about $4,500. A thermal imaging device detects thermal-IR light that objects radiate and shows the difference in temperature variations in different colors. The thermal IR wavelength ranges between 3 and 30 microns. Technically, anything above absolute zero emits infrared radiation. The greater the temperature of an object the more radiation it creates, therefore thermal imagers display only variations in temperature. Modern thermal cameras can detect objects between -20°C and 2,000°C range within 0.2°C margin error. Thermal sensor is the crucial part of any thermal device. The higher the resolution, the clearer the displayed image. Choosing a thermal scope or monocular with higher resolution will cost more money, but will result in a better picture. Refresh rate varies from 9 Hz and can go up to 60 Hz. A high refresh rate is going to be much better for hunting so that you wont have to deal with slow frame rates trying to detect a fast moving animal. 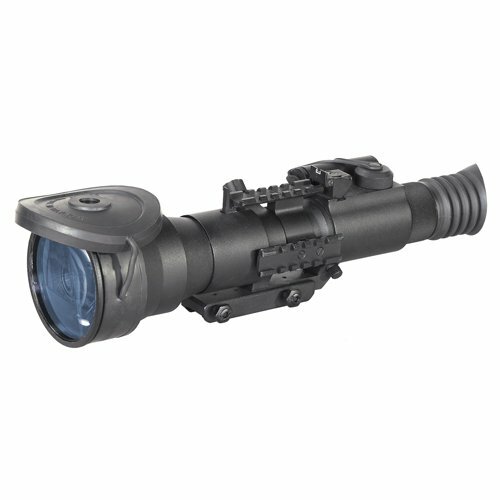 Thermal scopes can be used during the day and they work in complete darkness. Night vision devices amplify the ambient light whereas thermal imaging devices detect radiation or thermal heat and show the differences in temperature as an image. If you will be hunting in little to no light then a thermal imaging scope will be your best choice. If you will be hunting in a variety of light situations from daylight to night a thermal imaging scope will also be your best choice as a night vision scope can be damaged by bright light. A thermal imaging scope or monocular will allow you to spot the game much easier and faster due to the nature of the technology. The downside of thermal imaging can be lack of sharpness. Unless you buy a high resolution scope (640x480 or similar), images might look grainy. If your budget is limited, you should get a thermal monocular for spotting and night vision scope (GEN2 or better) for taking a shot. What Kind Of Environment Will You Be Hunting In? Do You Need To Be Able To Identify Your Game? This ties into the above point about thermal imaging scopes not producing the clearest images; if you are simply hunting nuisance animals such as feral hogs or prairie dogs then you may not need to explicitly identify your intended target. You must be able to identify your target though if you are hunting a deer or other animals that have strict parameters. If you need to be able to clearly identify your target before shooting then a night vision scope (GEN2+) will be your best bet. While we would all like to be able to buy both a thermal imaging scope and night vision scope along with the rifle for each however most of us do not have the budget to enable us to do that. Thermal imaging scopes are usually more costly than night vision scopes; excluding some of the latest generation 3 military grade night scopes. The newer 12 µm pixel pitch sensors found in the latest thermal scopes reduced price tags by having smaller optics. Expect to pay around $2,000 for a quality thermal scope. You should note that some people especially, those on a budget, will sometimes purchase a night vision scope, as they are usually cheaper, and a thermal imaging monocular for spotting. This is mainly due to the increased effectiveness of the thermal monocular being able to see animals behind the tree lines as well as not needing any illumination whatsoever unlike the night vision scopes. Thermal imaging and night vision each have their own strengths/weaknesses and with this setup you have the best of both worlds. A night vision scope for taking your shots and a thermal monocular for spotting your targets. The FLIR Nemesis is our pick for best premium night vision scope. 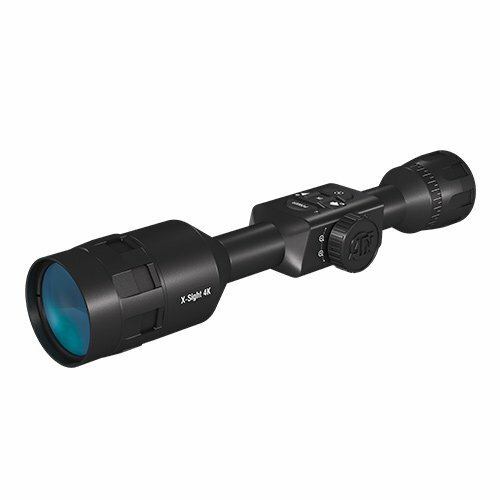 Featuring 6x magnification with 6.5 degree FOV the scope is ideal for long distance shooting. The resolution is 45-51 lp/mm which is standard for the Gen2+ night vision devices. The Gen 2+ image intensifier and high-grade components from FLIR create sharp high contrast images in the darkness. The Nemesis comes in many variants with Improved definition (Gen2ID) and Quick Silver or White Phosphor (Gen2+QS). The Nemesis also has has bright source protection to minimize the chance of damaging the phototube when exposed to bright light. The Nemesis has the standard Picatinny/Weaver mount as well as three accessory mounting rails that help you easily mount the long-range illuminator (which is included) and a few other accessories. The Nemesis is waterproof, lightweight and made from high grade aircraft aluminum. the controls are straight forward and easy to use making it easy to mount and take out hunting. The scope is powered by one CR-123 lithium battery that lasts up to 60 hours. The Nemesis comes with a two year warranty. The ATN NVM14- CGT is out pick for best premium night vision monocular. 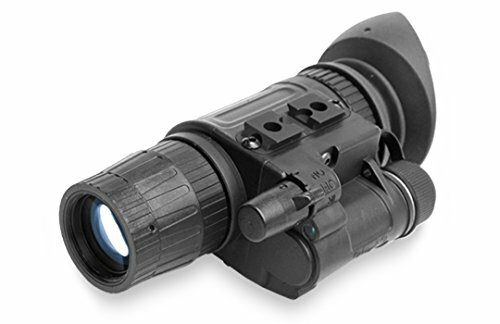 This military grade model features Gen2+ night vision technology, and has multiple lens options. The NVM14 is also multi-functional as it can be used not only as a monocular but can also be head mounted, used for night time photography (with the optional camera adapter) and mounted on a weapon to be used as a night vision scope. The NVM14 also includes a built in IR illuminator although a separate more powerful one can be purchased if desired. The built in automatic protective system also ensures that the unit won't be damaged by bright lights as the system will shut itself down if exposed to bright light for more than 10 seconds. The water resistant body of the NVM14 is built to withstand daily use without fear of damage. Battery life is also great at 60 hours. Resolution is on par with Gen2+ at 45-54 lp/mm. Operational temperatures range from -40 to 122F. The NVM14 comes with ATN's standard 2 year warranty. 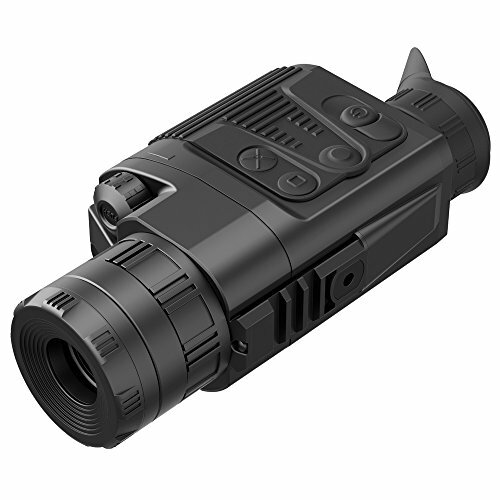 The ATN X-Sight 4k Pro is their newest digital night vision (discussed above) scope that can be used day or night with its 384 x 288 sensor. With all the ATN features you have come to expect including ballistic calculator, 18 hour battery life, laser range finder, RAV (recoil activated video) and their newest feature Dual Stream Video Recording which allows you to not only stream video to your tablet or smart phone but also simultaneously record video this got out pick for best affordable night vision scope. The ThOR 4 also has impressive range wit the 1.25 x 5x allowing for detection at 750 yards, recognition at 375, and identification at 205 yards. There are also several optics options for hunters who will be shooting longer distances. One of the best features of this scope is that it can be used day and night unlike a night vision only scope. The Bushnell Equinox Z digital night vision monocular is our pick for best affordable night vision monocular. The Equinox Z can be used day or night and comes with many features such as 1 to 3x digital zoom, image capture on 4.5x and 6x models, as well as long viewing distance. The 3x 30mm model offers viewing distances out to 500 feet while the 4.5x 40 offers 750 feet and the 6x 50mm extends out to 1000 feet. 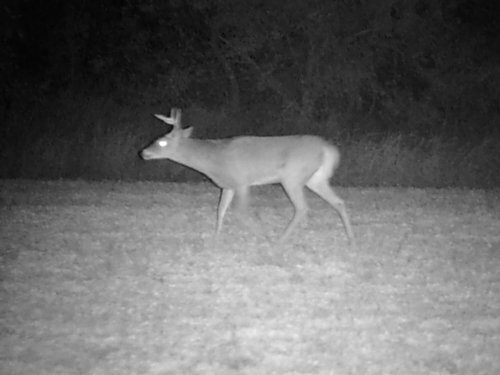 The Bushnell is durably built and because it uses digital night vision, you don't have to worry about the photo-tube getting damaged or wearing out as you do with traditional night vision. The Trijicon MkIII is one of the best thermal scopes currently available. One of the reasons for the MKIII's cost as well as quality is because it is a military grade thermal scope. The 12 micron (most current thermal scopes use 17 or 21 micron sensors) thermal sensor and 640x480 thermal resolution guarantee some of the clearest thermal images you will see. For longer distance shooters there is also a 60mm version. The scope is also waterproof to 1 meter so there is not need to worry if it gets wet. The stadiametric rangefinder also makes longer distance shots easier. Couple the cutting edge thermal resolution and optics with a 60Hz refresh rate and tracking moving targets becomes effortless unlike with lower refresh rates. The scope also offers a power saving mode which operates at 30Hz. This brings us to the only drawback which is the limited battery life of 3.5 hours at 60Hz and 5 hours at 30Hz but this is a minor issue. There is not a lot else that can be said about this scope as it truly has to be seen to be believed. The Pulsar Helion XP38 is out pick for best premium thermal imaging monocular. The XP38 is loaded with features including 640x480 thermal resolution 50Hz refresh rate, buit in video recording and streaming and detection range out to 1800 meters. The Helion line also include variable magnification. The XP38 is fully waterproof so you don't have to worry about it during hunting trips. Battery life is also good at 8 hours and you can buy an external battery pack for longer trips if needed. The XP38 can also operate in almost any climate with an operating temperature range of -13 to 122F. The Helion line is also available in a variety of optics options so that you know you can always get the model you need. 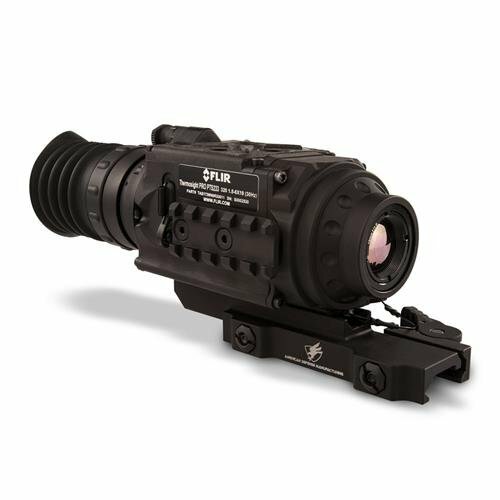 The PTS 233 ThermoSight Pro is FLIR's newest thermal imaging scope featuring the latest technology and innovation in thermal imaging. FLIR's new 320x256 BOSON 12 micron thermal core and 60Hz refresh rate provide for a high quality thermal scope at a reasonable price. The PTS 233 includes shot activated recording allowing you to capture your best shots and share with friends. Wit the included SD card you can store 2.5 hours of video or 1,000 high resolution images. The use of the new small thermal core allows the scope to produce clear clean images in complete darkness and fog as well as, reducing the overall size and improving battery life. The ThermoSight Pro line has three different optics options (PTS233 - 19mm, PTS536 - 50mm and PTS736 - 75mm) making it a great choice no matter what your shooting style is. The Pulsar Quantum Lite (also known as XQ30V) is our choice for best affordable thermal monocular. The Quantum Lite is the perfect blend of features, usability and quality. The thermal resolution of 384x288 may not be the highest on the market but it is very useable and coupled with a fast refresh rate of 50Hz allows you to easily track moving targets without a blurred image. The images are displayed on a AMOLED (active-matrix organic light-emitting diode) 640x480 screen. The Pulsar Lite comes in a variety of models depending upon your needs. 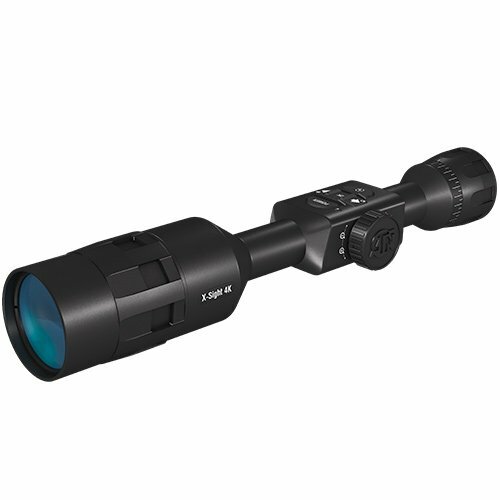 The XQ23V has 1.8x - 7.2 magnification and the XQ30V has 2.5x - 10x magnification. These will allow you a 800 or 900 meter detection range. 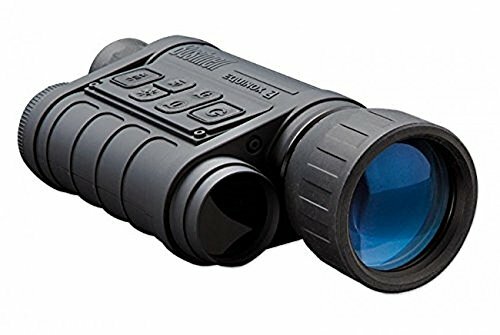 This thermal monocular is also very small weighing only 3/4 of a pound. The Pulsar Quantum Lite is a great choice no matter your budget. A. Yes, night vision devices amplify available light as it bounces off objects to allow you to see in the dark. For night vision scopes or monoculars to work there must be at least "some" light even if very little. Infrared on the other hand detects the infrared light (thermal radiation or heat) that objects emit meaning that it will allow you to see in total darkness. A. Night vision scopes and moncoluars use a special coating on the tubes that amplify the light as the coating wears off the scope or monocular will become less effective Gen 2 devices will last 5,000 hours (208 days of continuous use) and Gen 3 devices will last at least 10,000 hours (500 days of continuous use) this translates into may years for most users. A. No, because night vision amplifies what available light there is 1,000’s of times using a night vision scope during the day will result in not image being seen and will damage the light sensing tubes as daylight will overload them. Thermal scopes however can be used during the day because they detect the differences in temperature between objects and do not amplify the light. 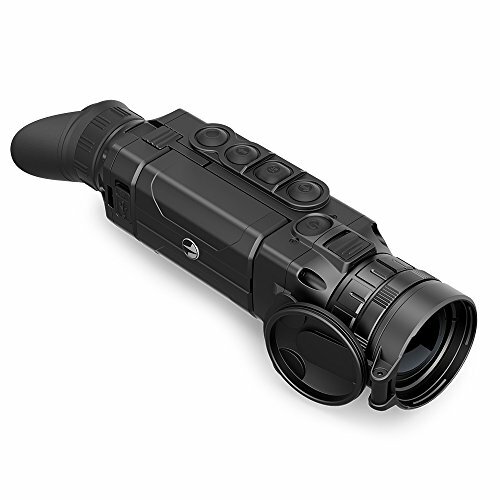 Note that a digital night vision scope/monocular can be used during the day. A. State regulations will vary so it is important to check your state laws. There may also be additional laws governing the hunting of certain animals with a night vision scope that you will want to make sure you check out before using or buying a night vision scope. A. No, night vision amplifies visible light so if there is fog you will not be able to see through it. Thermal imaging scopes can see through light fog, snow, and rain as thermal imaging scopes detect temperature differences. Still Not Sure Which Scope Is Right For You? If you are still not sure which rifle scope is right for you and your unique situation we have put together the below quick reference guide to help you decide. Whether you are looking for a thermal imaging or night vision scope/monocular we have put together this comprehensive guide to help ensure you are able to find the best one for you and your budget. If you have already purchased one of these or a different one please let us know what your experience has been. As you can see there are several options to chose from; hopefully our guide has helped you make the best decision for your unique needs. ATN Thor 4 vs Thor HD – What’s new? Pulsar XP vs XQ – Which One Came Out on Top?